This cute little dinosaur went in search for something to eat. These colorful fruits are what he needs, but he can't eat them if he is not of the same color. 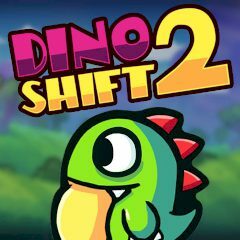 Help the dino to change his color and to eat all fruits in all levels.